I've stumbled upon this one the other day on the Amazon. One of the many Slender's AUs. 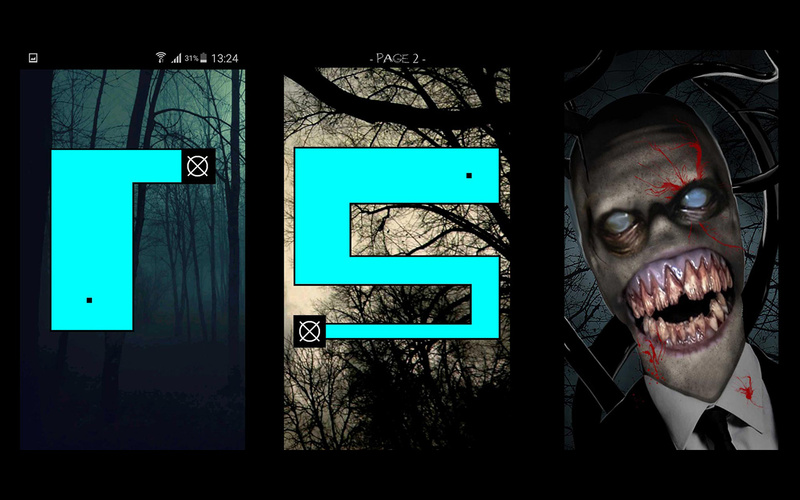 Picked it up for simple concept - scary maze prank reworked in Slender-man style. 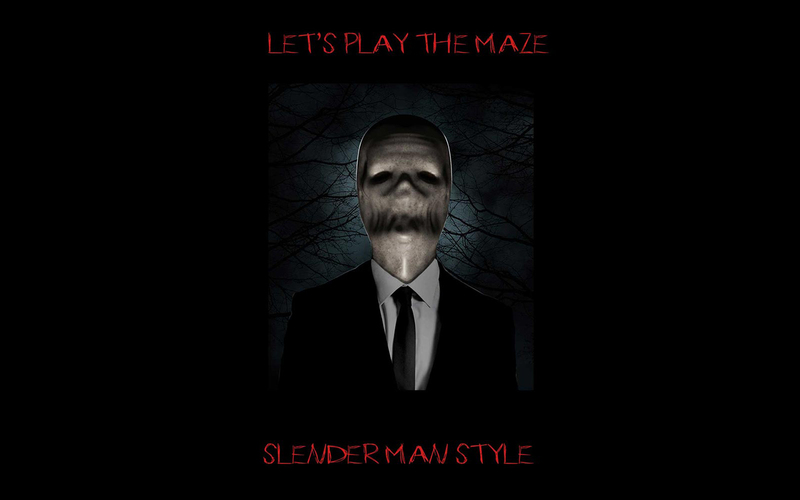 Probably not one of the best Slendy's incarnations, but it was nice to realize the old school cheap maze jumpscares still work. Or maybe not. Anyway, here's a couple of screenshots, and there's also a download link below. 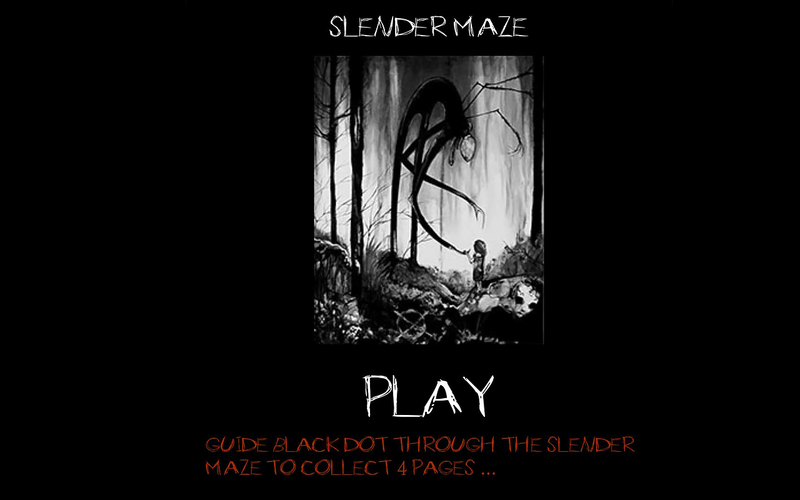 Slender Maze is an old-school scary maze prank reworked in Slender man style. It gives the best of the two most spread international memes. In this game you guide a black dote, with your finger, from the start to the 'operator symbol' - a circle with an "X" drawn through it. Each time you reach the symbol you will get one page collected. Allegedly there are 4 pages to collect. At some point, a scary image pops up, giving you or your friend a major jump-scare. The game also utilizes several tension build-up sound effects which add up to the atmosphere. You must have the Amazon store pre-installed on your phone or look for this particular apk elsewhere for a direct download, which of course raises some security concerns I would stay clear off, so better stick to the Amazon. Cool! I will check it out tomorrow.